One of the biggest car makers from the country, Maruti India has recently launched a Multi Purpose Vehicle called Maruti Ertiga for the Indian consumers. The company prefers calling this MPV as a Life Utility Vehicle (LUV) and has given a modish punch line “Live Life with LUV” across all its promotional campaigns and advertisements. I was in awe by these advertisements as it made me keen to discover what this new LUV would be like. The surprising factor of this MPV that made me further curious about it was the claim made by the company that this wonderful LUV has done more than 11,000 booking in just five days. Apparently the company was planning to initially start with at least 5,000 bookings per month. I was compelled to take a test ride of this amazing MPV to find out the reason behind the whopping bookings it has done. The company on the other hand is ecstatic and has credited this to the pricing of this MPV. Maruti Ertiga is being offered in both petrol and diesel car variants with three trims of each variant. This was the first aspect of this MPV, which impressed me as it has so many different options to choose from. 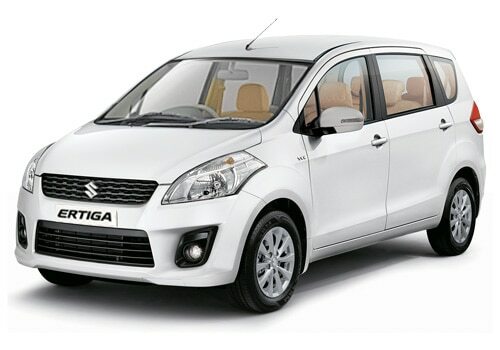 The Maruti Ertiga price in India for the base model of petrol is starting at Rs. 5.89 lakh and the diesel variant starts at Rs. 7.30 lakh (both prices mentioned are ex-showroom New Delhi). While browsing through the various websites, I came across many comments from automobile experts, which stated that Maruti Ertiga will very soon become one of the most noteworthy vehicles in the country. 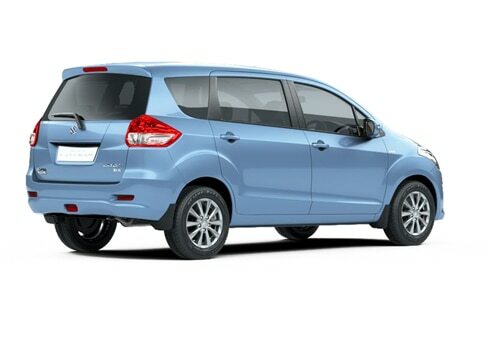 It seems that the company will also introduce this MPV in the South East Asian automobile markets as well. The launch of this MPV will also see the debut of their latest K14B engine in India, which is supposed to be advanced and dominant. This K-series 1.4 litre petrol car engine is powerful as well as fuel efficient and makes the handling of the car smoother. While the 1.3 litre multi-jet diesel engine has been sourced from Italian auto giant Fiat is already acclaimed in the market. Both the engines are perfectly mated with a 5-speed manual gear box transmission and have 4 cylinders. The mileage of the petrol variant is around 16.02 Kmpl, while the diesel variant generates an impressive 20.77 Kmpl as claimed by the company. Maruti Ertiga is very spacious from inside and has three rows of comfortable seating arrangement, which can accommodate seven passengers with ease. The seats are very comfortable and the rear rows also have good leg room, which made me quite comfortable and at ease. It has rich interiors and is very stylish and fashionable with many user friendly features, which made it easier for me to drive and maneuver. Adding to the comfort is the sturdy suspension of McPherson Struts in the front while the rear is taken care by a torsion beam that made it glide effortlessly over the potholes. The wheel base is of 2740 mm and houses tyres of size 185/65 R15 with smart alloy wheels for the top end trims. Other important safety features include SRS airbags, anti-lock braking system with brake assist, engine immobilizer, security alarm and EBD as stated in a Maruti Ertiga review. The exteriors are very elegant and classy with aerodynamic styled body structure, a stylish head light cluster, integrated fog lamps on the front bumper, polished ORVM’s with side turn indicators and the rear has a refined tail lamp cluster with rear wiper and tinted wind screen as seen in the Maruti Ertiga pictures. Overall, Maruti Ertiga is very neat, classy and amazingly comfortable for bigger families like mine as well. Meanwhile, other upcoming cars such as – Tata Safari Storme, Audi A4, New Chevrolet Captiva, BMW 3 Series, Audi Q3, New Hyundai Elantra, Premier Rio Diesel, Volkswagen Jetta petrol and Renault Duster are scheduled for their respective launches in the coming weeks. I recently shared that Tata Safari Storme to take the Safari lineage forward and the inequality between petrol and diesel cars and its aftermath.